A tablet holder that defies gravity. This iPad stand offers the ultimate flexibility. It works in bed, on the couch, in the car, and on exercise equipment. The WhaleTail is a lightweight, compact handle that doubles as a powerful stand. 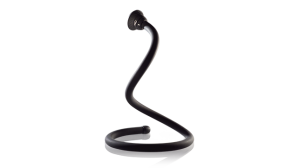 Its flexible tail adjusts to your hand for a comfortable, secure grip, and its sturdy fins can offer any viewing angle, even on soft or uneven surfaces. Suction the pressure out of using your tablet! 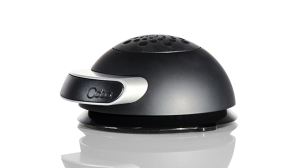 The Vacuum Dock provides a comfortable grip on your device. 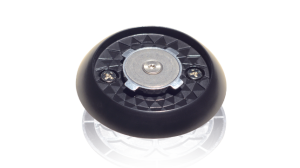 Its half-dome shape rests easily in your palm. 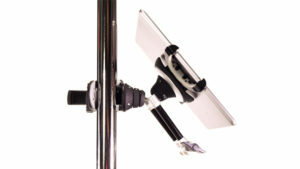 It transforms instantly to provide a low-angle stand. 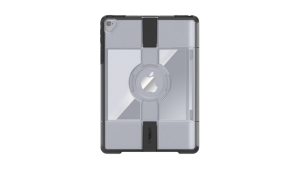 The Vacuum Dock is best paired with other TabletTail accessories, like the WhaleTail or the MonkeyTail, to create versatile and modular tablet solutions. 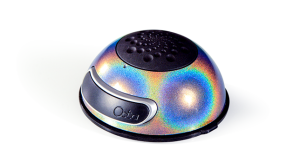 The Vacuum Dock uses industrial-strength vacuum suction to connect to smooth, non-porous surfaces, including glass, marble, plastic, metal, and polished wood. 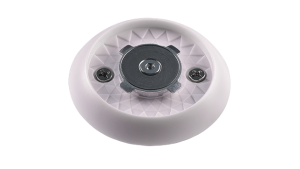 Use it to attach your tablet to counters and tables, windows and mirrors, and more. 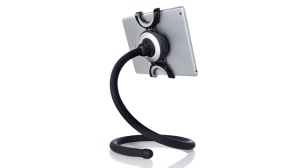 The MonkeyTail lifts your iPad or tablet to eye-level, providing hands-free comfort. 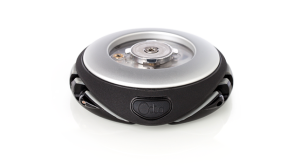 Its flexible steel skeleton can be wrapped, curled, or tucked in place. It’s the perfect stand for bed or for the couch. Unlock the true mobility of your tablet. 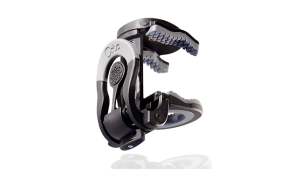 The Lynx clamps to flat, round, and irregular surfaces—right-side up, upside-down, or sideways. Its unparalleled strength accommodates the most rigorous environment. Use this tablet mount throughout your home and on all your adventures. 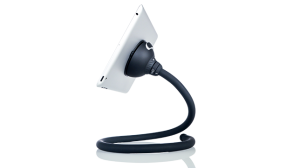 The Wall Mount attaches to walls and furniture, turning any surface into a tablet docking station. Affix Wall Mounts throughout your home and work for total convenience and access. The Bridge connects multiple TabletTail components. 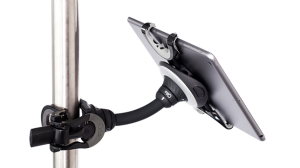 On one end, use the Spider, Octa’s universal tablet holder. On the other end, attach a Clamp, Vacuum Dock, or Wall Mount. Use the Bridge to personalize your accessories. The Clamp connects to flat, round, and irregular surfaces with its powerful steel and fiberglass jaws. Use your tablet right-side up, upside-down, or sideways in previously impossible places. The Spider grips any tablet securely with its powerful, adjustable claws. Use it to hold any tablet, large or small, with or without a case. Attach additional TabletTail components to the Spider to create your own unique accessories. The Spider Monkey offers hands-free, eye-level comfort when you’re reading, writing, watching movies, or browsing the web. Wrap, curl, or tuck it in place for easy set-up in bed, on the couch, or at your desk. Handle and stand for the on-the-go techie. 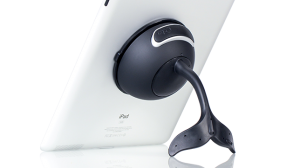 Provides a comfortable, secure grip while holding your device. 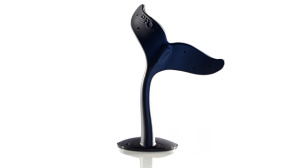 Offers a stable stand that adjusts to any angle and works on soft or uneven surfaces. 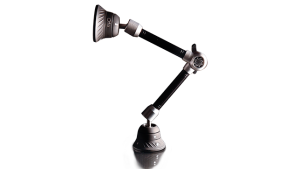 The Bridge 360 offers the ultimate in positioning control with its three joint articulating arm system. 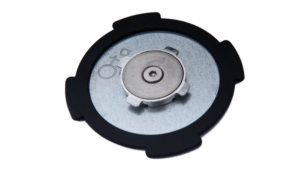 It is the most securely adjustable component in the Octa system and can put your tablet at any angle and hold it there steady. You will find your device has never been so powerful and fun to use. 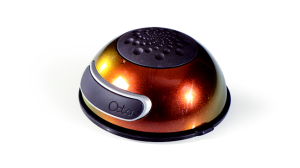 Insert the Octa - Otterbox uniVERSE Adapter Plate and you have access to the entire world of Octa's modular system protected in a sleek and robust case. 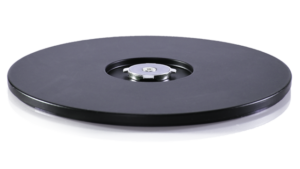 The Gravity Plate is 1.7 pound (.77kg) 6.3" (160mm) steel disc featuring Octa's recessed mount in the center for quick and easy connection. 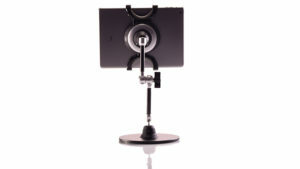 It can hold any size tablet securely on any flat surface but light enough to move the stand around. You can connect any of the Bridge components to it for a point of sale or desk stand that can then break down and be traveled with. 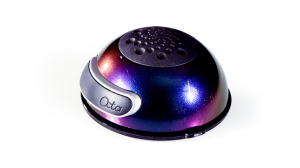 Welcome the world of Octa. Build your system here and add the parts you need. The Rhino 360 balances rigidity with flexibility. 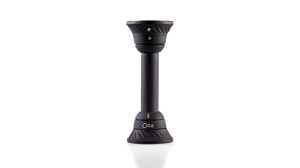 It gives you the ability to adjust to any angle and lock it in position. The steel base is heavy enough to offer the stability even when holding your tablet 12" in the air, but light enough to pick up and move around. Disconnect it from its base and you use the Bridge 360 use as a handle. Extend functionality with the rest of the system. 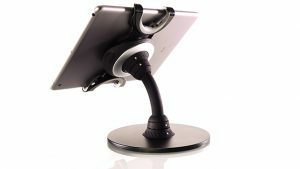 2-in-1 desk stand and handle for iPad. Modern and sleek. 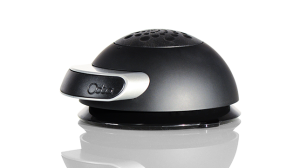 Use in a school, a home office, or as a point of sale solution. Rock solid but incredibly portable. High design with a twist.